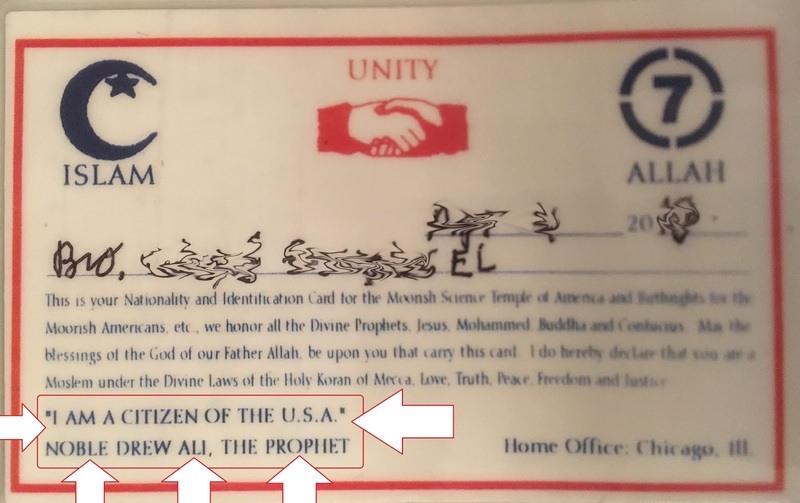 My nationality card, is an exact replica of the nationality card from the Prophet's era. I would like to use this post to clear up the confusion within the Moorish National and Divine Movement regarding the sociopolitical status of Moorish Americans. Many Moorish Americans claim to be Moorish nationals as opposed to being citizens of the U.S.A.
Are Moorish Americans Moorish Nationals or U.S. Citizens? I was inspired to answer this question from a post in our Facebook group for Moorish Americans (link here). 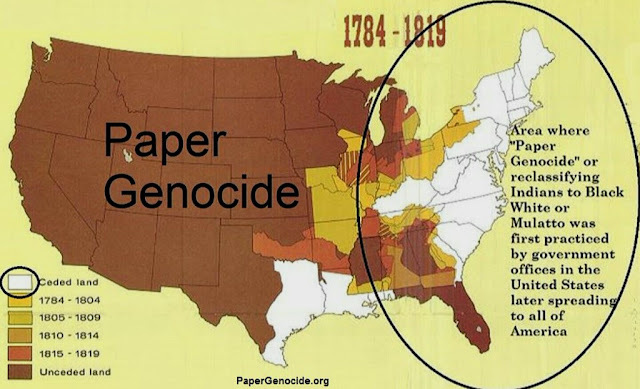 While the actual post had nothing to do with the topic, the question which lead into the issue regarding the status of Moorish Americans also is pertinent to addressing this issue. On the group post mentioned above a brother posted a screenshot from a case entitled Rights of Nationals of the United States of America in Morocco (France v. United States of America) and cited it as "proof" that North America is really Morocco. 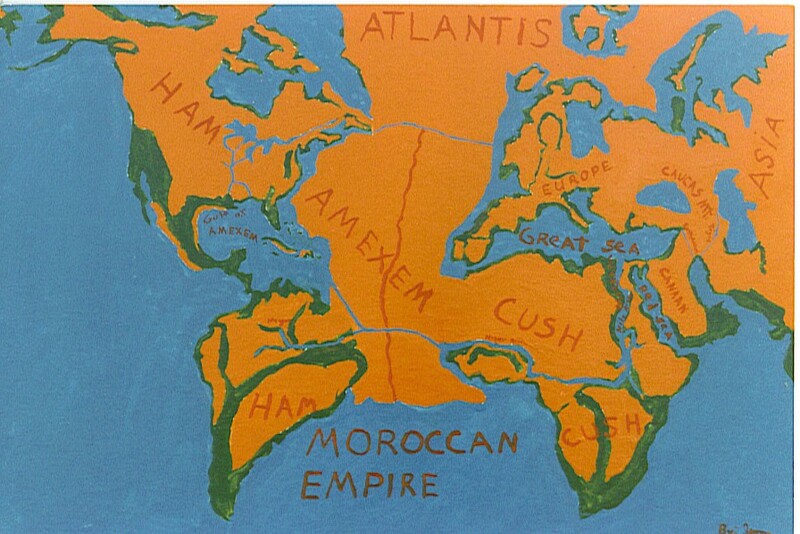 While I do agree with this concept, I felt it was important to point out the error in sharing this particular case and asserting it as proof that North America is actually part of Morocco. Upon examining the document it is quite easy to ascertain that the case is actually concerning US citizens that are Morocco. They are being referred to herein as "nationals" because they are not citizens of Morocco. The judgment in the case refers to US nationals in the Kingdom of Morocco across the Atlantic in Northern Africa. France was sued by the United States because Morocco was a French colony at the time. It actually did not take much time to figure this out upon reading the case law. Unfortunately though, this is often the type of "scholarship" that we see touted in memes, other internet posts, and videos to "prove" the author's point. Somehow this lead to another Moor asserting how nationals are held in a higher status than citizens. I hear many Moorish Americans also repeat this line verbatim. It is time to clear this up and use law and the international interpretations of these statuses instead of repeating the same verbiage being passed around online and taken for serious scholarship. Is the Moorish National in a Superior Position to the Standard Citizen? First, let's answer the question whether or not Moorish Americans are nationals or citizens. The answer to both questions would be YES. The reason for this is that all citizens are also nationals. When US citizens travel to other countries, they are considered nationals because they are not citizens of the other nation they are in, unless of course the have dual citizenship. 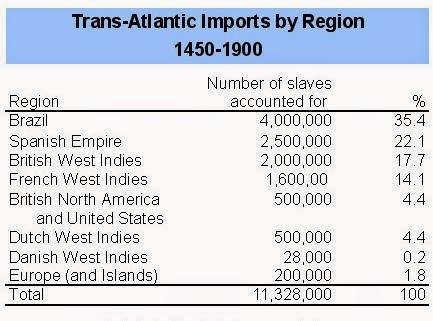 This is why in the case shared above, the US is suing France on behalf of its citizens who were engaged in trade and commerce with Morocco. "The United States maintained that this measure affected its rights under treaties with Morocco and contended that, in accordance with these treaties and with the General Act of Algeciras of 1906, no Moroccan law or regulation could be applied to its nationals in Morocco without its previous consent." "The Court rejected the contention of the United States that its consular jurisdiction included cases in which only the defendant was a citizen or protégé of the United States. 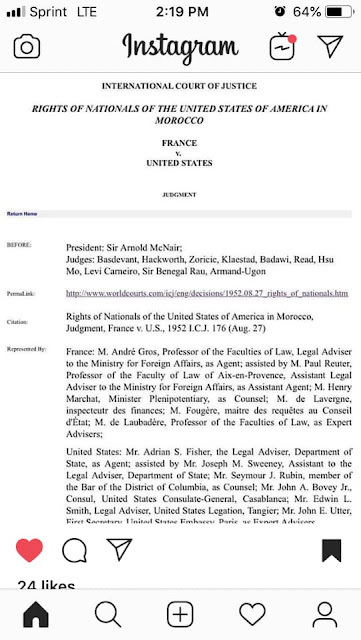 It also rejected the claim by the United States that the application to United States citizens of laws and regulations in the French Zone of Morocco required the prior assent of the United States Government." "The Court rejected a counter-claim by the United States that its nationals in Morocco were entitled to immunity from taxation." Citizens have rights and privileges that nationals lack. It is wrong to assume that the national status is higher than citizen, especially in light of the fact that all US citizens are also nationals. I am not sure why people are spreading this online but it has no basis in truth. Ask Samoa or another US territory if they enjoy being nationals without full control over their land, which is an occupied territory. They are perfect examples of US nationals and they lack full rights and privileges of citizens. 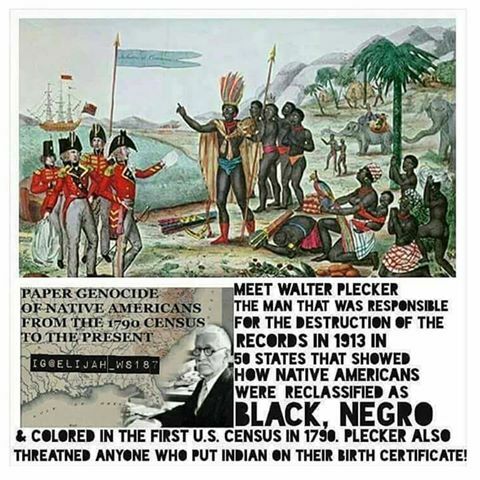 Many Moors erroneously say that being a citizen equates to being a “subject” (i.e. slave) to a corporation. Once again, this has no basis in truth or facts. Saying you are not a citizen in contrast to being a Moorish national sounds good right? It may make you feel like you have some superior status but according to United States nationality law, all citizens are nationals. Period. On the other hand all nationals are not considered citizens and do not posses all rights and privileges of citizens! This is fact and law. Not hearsay from the internet or some YouTube video. Citizens are nationals, but nationals are not citizens and lack the rights citizens have and ability to shape and define their government. Although all U.S. citizens are also U.S. nationals, the reverse is not true. As specified in 8 U.S.C. § 1408, a person whose only connection to the U.S. is through birth in an outlying possession (which is defined in 8 U.S.C. § 1101 as American Samoa and Swains Island (which is administered as part of American Samoa)), or through descent from a person so born, acquires U.S. nationality but not U.S. citizenship. The U.S. passport issued to non-citizen nationals contains the endorsement code 9 which states: "THE BEARER IS A UNITED STATES NATIONAL AND NOT A UNITED STATES CITIZEN." on the annotations page. Like permanent residents, they are not currently allowed by any U.S. state to vote in federal or state elections. Residents of Puerto Rico, Guam, Northern Mariana Islands, the U.S. Virgin Islands, and American Samoa are US nationals because they are in occupied territories, not FREE JURAL SOCIETIES. They are not citizens and do not possess full rights and privileges of citizens! “A territory generally has a territorial governor appointed by the Federal government. They usually do not have any elected body of representatives. In addition they have no representation in Congress. Most territories have too few people to require any state or federal representation." Unlike STATES, occupied territories have ZERO elected officials. They cannot truly govern themselves. It does not matter where or who the information saying that Moorish Americans are nationals and not citizens is coming from it is leading people astray. 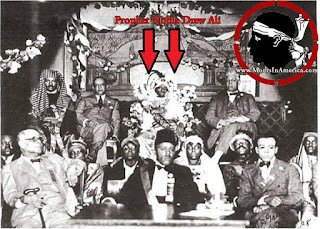 It also goes against what Prophet Noble Drew Ali brought forth. The Prophet states over and over that we have full rights and privileges of US citizens. See examples below. "If you have a nation you must have a free national name in order to be recognized by this nation as an American citizen." "The citizens of all free national governments according to their national constitution are all of one family bearing one free national name." "I, the Prophet, was prepared by the Great God Allah to warn my people to repent from their sinful ways and go back to that state of mind to their forefathers Divine and National principles that they will be law-abiders and receive their divine right as citizens, according to the free national constitution that was prepared for all free national beings. 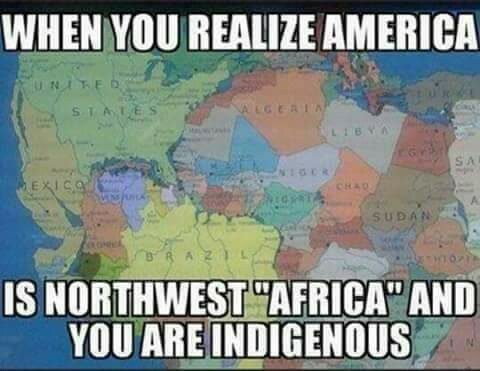 They are to claim their own free national name and religion. There is but one issue for them to be recognized by this government and of the earth and it comes only through the connection of the Moorish Divine National Movement, which is incorporated in this government and recognized by all other nations of the world. And through it they and their children can receive their Divine rights, unmolested by other citizens that they can cast a free national ballot at the polls under the free national constitution of the States Government and not under a granted privilege as has been the existing condition for many generations." The wealth of all national governments, gold and silver and commerce belong to the citizens alone and without your national citizenship by name and principles, you have no true wealth..."
"The object of our Organization is to help in the great program of uplifting fallen humanity and teach those things necessary to make our members better citizens." "Inspired by the lofty teachings of the Koran, we have it as the revealed word of God Allah. We shall foster the principles of its teachings among our members. This is our religious privilege as American citizens, under the laws of one of the greatest documents of all time-the American Constitution." "Anytime a Man or a Woman fails or refuses to cast a sacred ballot at the polls they separate themselves from all rights of an American citizen. For surely this is the one connecting medium for a citizen to his nation. They become no more than belated beast of burdens." "...Before there can be general relief for the economic good of all, all forms of political slavery must be abolished and every citizen must take his part in the affairs of the nation." 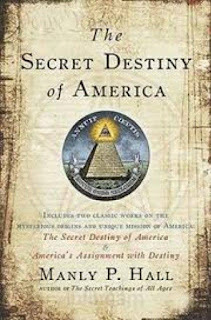 "But now since they have found out from the Government Officials and the Nations of the Earth, that this is the only Soul Foundation, that all Asiatics must depend upon, for their Earthly Salvation as American Citizens, They are working every scheme that they can, to disqualify Me, so they may take charge of the situation." "When man fails after being placed Head of the Temple by the Prophet of obeying our Divine laws and constitutions, he is a traitor and enemy of the Divine Creed and unloyal to the National Government U.S.A. to which the movement is to make men and women better citizens." Heads up. 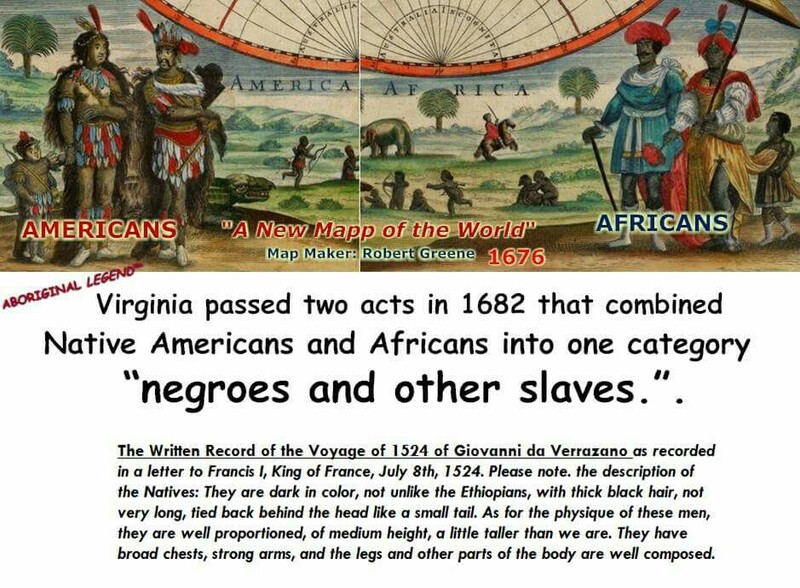 If you take in the information above and still choose to tout Moorish national status in contrast to U.S. citizenship take heed with that type of wording. It originates from the European, Christian sovereign citizens movement, which has nothing to do with us Moorish American Moselms. Peace everyone. I share this info in love. I do not know everything. There is a lot of incorrect info floating around, and in some instances, even being taught by some of our esteemed scholars and lecturers. Regardless of what anyone is out here teaching, national is not above citizen. The info I shared can be researched in less than an hour and proven correct. Don't stick to biased websites with no sources for their info, look up the dictionary meanings, case law, and what is explained clearly on gov websites. Noble Drew All, a man who made his entrance into the world on the 8th day of January 1886, was an extraordinary individual, endowed with vision, purpose and love for humanity. 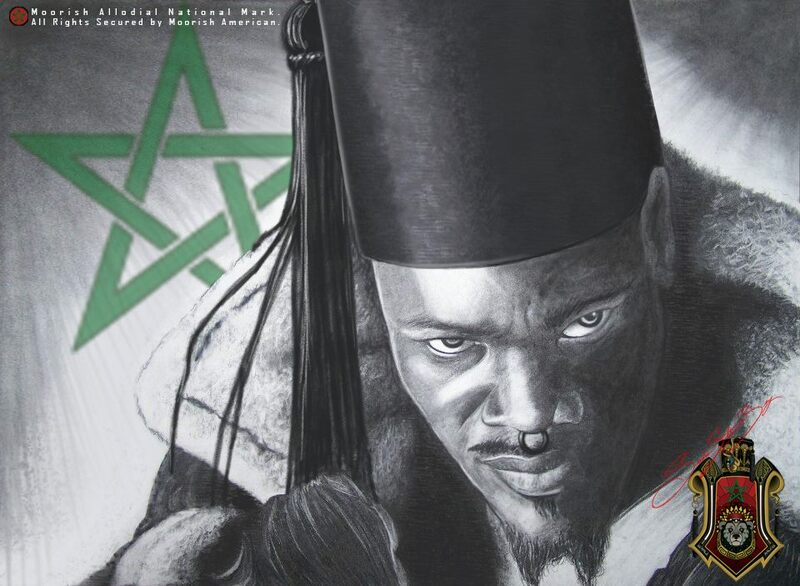 At the age of 27 in 1913, he founded the Moorish Movement in America, later to be named: Moorish Science Temple of America, Inc., in Newark, New Jersey to uplift fallen humanity by returning the nationality, divine creed and culture to persons of Moorish descent in the Western Hemisphere. 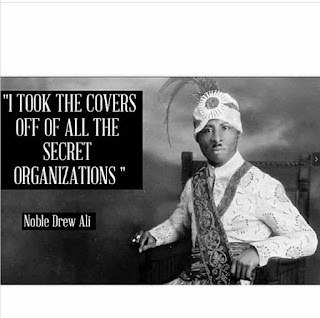 In succeeding years, Noble Drew Ali moved to Chicago, Illinois, organizing in 1925 as the Moorish Temple of Science. He later established a national headquarters and in November 1926, incorporated as a civic organization in the State of Illinois. This was later changed, on July 20, 1928, at a special meeting, to a religious corporation, known as the Moorish Science Temple of America, and registered in the Cook County Office of Records and Deeds, August 1, 1928. Dispense charity and provide for the mutual assistance of its members in times of distress; Aid in the improvement of health and encourage the ownership of better homes; Find employment for members; and, Teach those fundamental principals which are desired for our civilization, such as obedience to law, loyalty to government, tolerance and unity. He further stated: " We are friends and servants of humanity. We are dedicated to the purpose of elevating the moral, social and economic status of our people. We have set about to do this through a wide and comprehensive program embodying the principles of LOVE, TRUTH, PEACE, FREEDOM, and JUSTICE "
To that end, in the pre-Depression years of the 1920's, Noble Drew Ali worked with the Moorish-Americans to purchase the first Temple grounds in Chicago, Illinois during May 1926. At the Moorish-owned Unity Temple Hall, located in that city at 3140 Indiana Ave, site of the first Moorish National Convention from October 15-20, 1928, the Moorish and American flags were proud reminders of the dual heritage of our people. 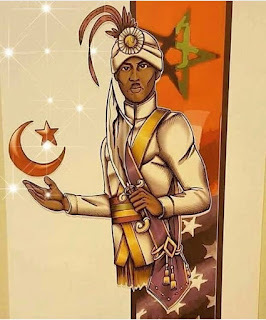 The restoration of the Moorish flag to the descendents of Africa in America by Noble Drew Ali was of special historic significance to the Moorish community and the world, for it took place in the United States during a time when the government of Morocco was in a state of subjugation to the French rule (1912-1955), and could not raise the red flag with the five pointed- green star in the center, on African soil. Additionally, this action evoked memories of the unique role and contributions of Moorish-Moroccan civilization to development of the American system. The first nation in the world to recognize the continental government of the United States, Morocco signed the first international treaty with this country in 1787, at a time when Moorish descendents of Moroccans labored to help build the evolving American society. 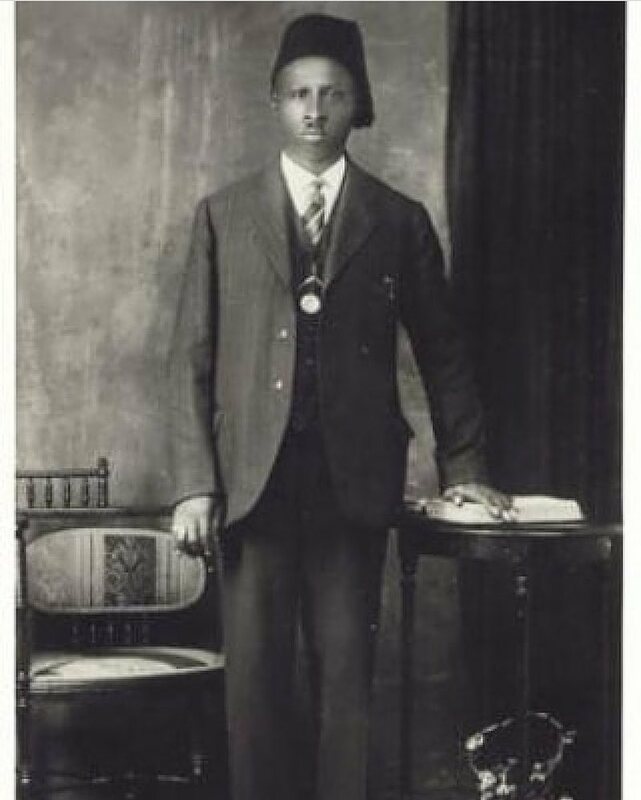 Inspired by the example of Noble Drew Ali, who founded the Moorish Manufacturing Corporation (which continues to produce remedies such as Moorish mineral and healing oil, antiseptic bath compound, and Moorish tea), his followers began to establish a variety of business enterprises, including restaurants, grocery and furniture stores, real estate firms, etc. When the Elks held their 29th Convention at Unity Hall in 1928, the Moorish Cafeteria Service was commended for being "... one of the most beautiful examples of unity and service ever witnessed..." Reporting on the Moorish Manufacturing Corporation in the September 14, 1928 edition of the MOORISH GUIDE, Noble Drew Ali commented," In all of the various divisions of the factory, we have put on about 20 additional workers. This factory serves one of our main purposes because it gives employment to the members." Noble Drew Ali was firm in stating," We shall be secure in nothing until we have economic power. A beggar people cannot develop the highest in them, nor can they attain to a genuine enjoyment of the spirituality's of life." He successfully endorsed and supported the candidacy of then Chicago Conmittee man Oscar DePriest for the United States Congress in 1928. This endorsement came at the opening meeting of the Moorish Science Temple of America's first annual National Convention, held in Chicago on October 16,1928. Despite the fact that many others were afraid to express their support openly for Mr. DePriest out of fear that his campaign would not be successful. Moorish residents of the first Congressional District of Illinois, members of the Chicago Temple, numbering 5000, were among his staunchest supporters. Long before the now-famous Civil Rights era, members of the Moorish Science Temple of America, under the leadership of Noble Drew Ali proudly cast their votes for Oscar Depriest, helping him to become the first person of African descent to serve in the U.S House of Representatives following the completion of the Honorable George White, Representative of North Carolina, term in 1901. Noble Drew Ali took part in a great parade celebrating the DePriest victory on Saturday, November 3, 1928. In one of the most spectacular occasions ever witnessed on the Southside of Chicago, thousands of automobiles formed an impressive caravan of citizens joining the forces in unity and love. The immense respect and admiration for Noble Drew Ali's work was noted at the opening session of the Moorish Convention, when the dais of speakers included such distinguished city, state and national leaders as the Honorable Louis B. Anderson, Alderman, 2nd Ward (Chicago); Honorable Daniel M. Jackson, 2nd Ward Committeeman and Illinois Commerce Commissioner; Honorable Oscar DePriest (then a Republican Committeeman and Congressional candidate), Honorable Robert R. Jackson, Alderman, 3rd Ward; and Honorable George Blackwell, State Representative, Illinois Legislature. Additionally, representing the private sector, Mr. Jesse Bingo, President of the Binga Binga State Bank, also spoke in honor of the industrious acts of Noble Drew Ali. Moorish members from various states including New Jersey, Pennsylvania, Maryland, Virginia, Michigan, Arkansas, Ohio, Wisconsin, West Virginia, and Illinois were on hand to witness and participate in an event unlike any to which they had been exposed. Convention activities included an outstanding parade through Chicago's residential district with Temple officials dressed in full Moorish regalia, a musical concert featuring the Moorish chorus, a grand celebration with entertainment for delegates and guess; along with discussions, reporting and the conducting of business among the membership. Noble Drew Ali urged Moorish-Americans to "brighten the hopes of our youth" and encouraged the development of the Young Peoples Moorish League, as well as athletic clubs for children. Speaking about the Southside Boys Club Foundation in Chicago, Noble Drew Ali conveyed his fondness for youth and concern for the development of human potential when he stated "It takes sympathy, patience, interest and the trained eyes of men, well versed in the training and handling of young men to see the hidden beauty beneath the rough exterior. 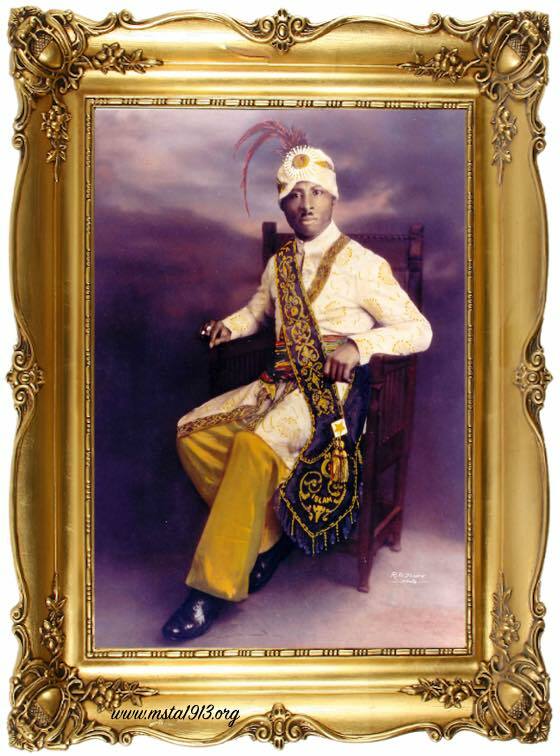 "Remember, "Better boys make better men, and better men make better husbands for our daughters," In addition to his many positive works, Noble Drew Ali will be remembered by the world for being the first divinely-Inspired leader to return the Islamic Creed to these Western shores within the government of the United States. In the corporate information contained in the July 20,1928 Affidavit of Organization filed in Cook County, Illinois, Noble Drew Ali stated "The Moorish Science Temple of America... derives its power and authority, from the Great Koran of Mohammed* to propagate the faith and extend the learning and truth of the Great Prophet Ali in America. To appoint, and consecrate missionaries of the Prophet; and, to establish the faith of Mohammed in America. "... I urge you to remember there is work enough for all to do in helping to build a better world. The problems of life are largely social and economic. In a profound sense, they are moral and spiritual. Have lofty conceptions of your duties to your country and fellowman in general and especially those with whom you deal. This includes such honesty and righteousness as will cause you to put yourself in the other fellow's place. Look for the best in the others and give them the best that is in you. Have a deeper appreciation for womanhood. Brighten the hopes of our youth in order that their courage be increased to dare and do wondrous things. Adhere at all times to the principles of LOVE, TRUTH, PEACE, FREEDOM, and JUSTICE. I am your affectionate leader. I shall continue to labor day and night, both in public and private, for your good, thereby contributing to the welfare of our country and its people as a whole." In fitting tribute to his eminence as a world leader, Noble Drew Ali has been honored by the cities of: St. Louis, Missouri; Newark, New Jersey; Chicago, Illinois; Hartford, Connecticut, Washington, D.C., Detroit, Michigan, Los Angeles, California and Baltimore, Maryland; as well as, by national and international organizations such as the National Conference of Black Mayors and the World Conference of Mayors for his work. On January 8th in the year 1886 (23, which also equals 5 in numerology, more on that later) a Prophet was born in the state of North Carolina by the name of Timothy Drew. Drew was very special and would become the creator of a new world for all that would be willing to accept the light that he brought forth. Timothy Drew was lead by the spirit of Allah to leave his fingerprint in this world forever. For all of his marvelous works we give high honors and praise. In this year 2019 CE we wish a happy 133 Birthday to our Prophet. October 28 - Statue of Liberty officially celebrated her 100th birthday. Liberty enlightening the world. It was dedicated on October 28, 1886. Monument commemorating the centennial of the signing of the United States Declaration of Independence. Lady Liberty represents freedom, democracy, as well as international friendship. August 31, 1886 - Charleston, SC earthquake. This was one of the most damaging earthquakes in the Southeastern United States ever. Hardly a structure in Charleston was left undamaged. January 29, 1886 - Benz applies for a patent for the first automobile. May 1, 1886 - Chicago Unionist, Reformers, Socialist, Anarchist, and regular workers together created the city center of the national movement for 8 hour work days. May 8, 1886 - The first Coca-Cola is sold. Nikola Tesla forms Tesla Electric Light and Manufacturing Company in Rahway, New Jersey. If you remember from the passage above, we mentioned that Noble Drew Ali's birth year, 1886, adds up to the number five. Here is some information about five in numerology. Five is the most vibrant, freedom-loving of all numbers in numerology. It is unpredictable, always in motion, and constantly in need of change, although it is molded from an almost equal mix of masculine and feminine qualities. The number 7 is the seeker, the thinker, the searcher of Truth (notice the capital "T"). 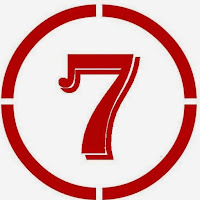 The 7 doesn't take anything at face value -- it is always trying to understand the underlying, hidden truths. The following passage comes from a document written by W. Williams Bey. These are his words, not mine. The science I am going to give you is used by all secret orders to get to the truth about how to recognize a true Prophet from a false Prophet. I was given this science by a Sufi master who heard me speaking about the Moorish Science Temple and our holy prophet Noble Drew Ali. He was surprised to know that there were Moors still in existence and there was a prophet in the land. He asked me what year Noble Drew Ali was born, I said 1886. He took out his pen and ask me for a piece of paper, he then did some calculations and looked very surprised and excited at the same time. 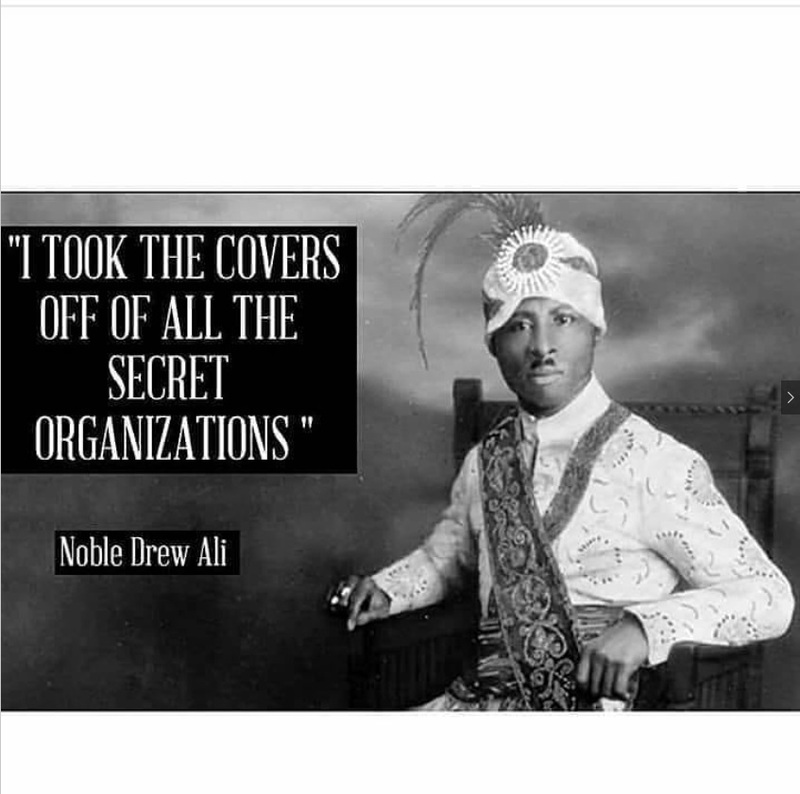 He then looked at me and said, with certainty “NOBLE DREW ALI is a prophet.” I then ask him how he came to that conclusion, and what school of Moslem are you. He said he was a Sufi. I was a young man and new to Islam and did not understand at that time. He then said all of his teaching came from the MOORS (Our ancient for-fathers). For the next three months he showed me how to decode esoteric science, including the science of a Prophet. This science came from our ancient for-father and can be traced back to Egypt. 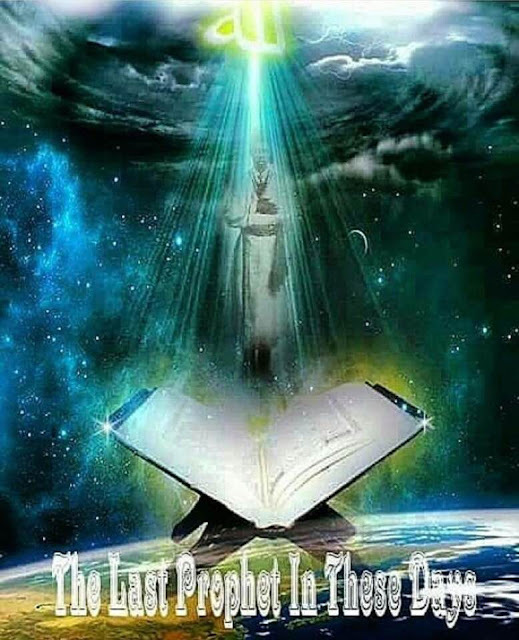 Dhu’n Nun al Misri a deep Olive (Dark skin) Nubian who formulated for the first time a spiritual knowledge of ALLAH which he called gnosis (this is where the word gnosis in the Holy Koran came from). 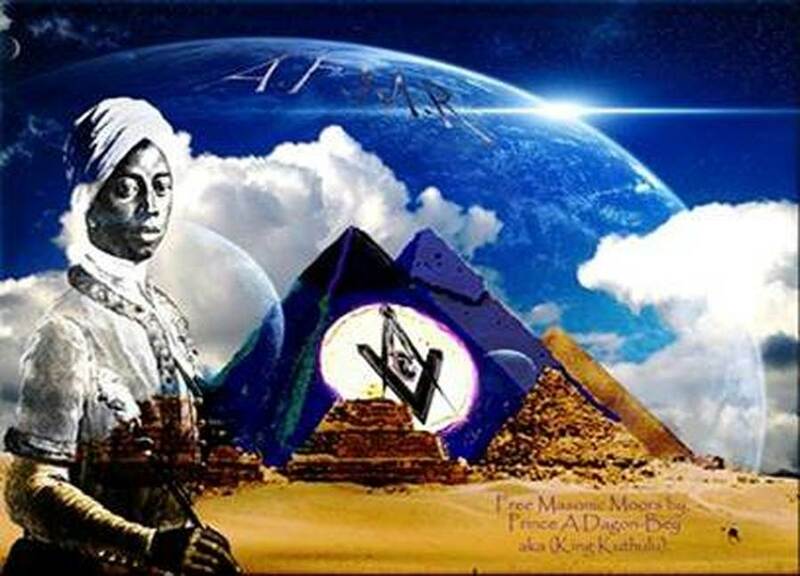 The ancient Moabites received knowledge from Egypt who passed it on to their descendants (the Moors) and we took it to the four corners of the world to all nations. Moorish Americans are not Sufis, Masons or R.C. etc. The Moors loaned them the science’s they have today and that is a fact. Moorish Americans have one goal and that is TRUTH. The science I am about to give you is called the digital code: unity produces numbers according to their known series; and the numbers in their turn sub-divide the unity. The number is not manifested without being counted (Fusus Al-hikam) and the truth is reviled. In Islam numbers manifest the truth because Islam is the truth. This knowledge did not come from me but from secrets handed down from our Ancient Fathers by his Prophet. We gave this science to the world. Our Holy prophet Noble Drew Ali’s number is 5. All secret orders knew that the next prophet after the prophet Mohamed (pboh) who’s number is 3, would be 5. This is the method the Sufi master used to decode our Holy Prophet and knew without doubt or contradiction that Noble Drew Ali is a prophet. First let us review some facts. 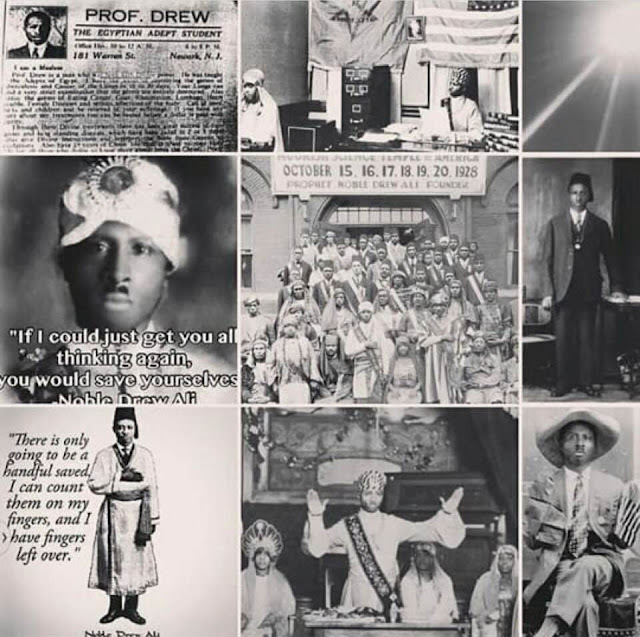 Where was NOBLE DREW ALI born? In the state of North Carolina, 1886. (1/8/1886). What year was the MOORISH SCIENCE TEMPLE OF AMERICA Founded? 1913 A.D.
How long did he teach? 18 years. What is hidden in the number 18? You will SEE. Hidden in 18 is the number 9 (1+8) = 9. 9 stands in Arabic for the letter Ta whose hidden meaning is “secret knowledge.” Check me out, I want you to. 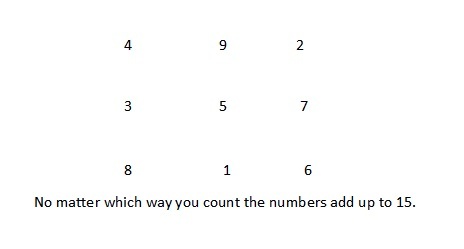 9 times any number will always add up to 9 example (9x2) = 18 (1+8) = 9 (9x3) = 27 (2+7) = 9 etc. 360 decrees (3+6+0) = 9. Spiritual meaning of number 9 (from sacred numerology) ….9 is the number of “cosmic consciousness “, it is the door way to awakening of the higher self to the alignment to all that is was and evermore to be. Now look at the mystery and power of 5. (1+8+8+6) = 23 (2+3) = 5 which is the number of the last Prophet in these days. 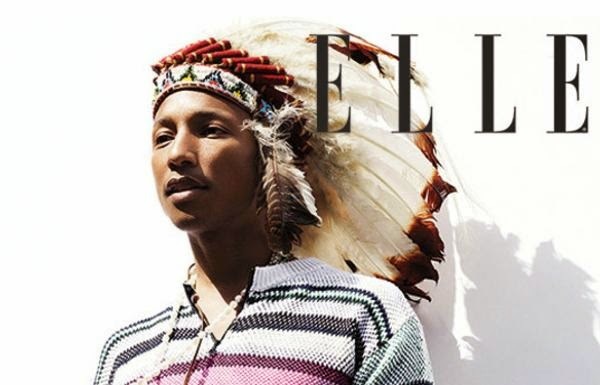 My name is W. Williams Bey, I have been nationalized for over 50 years. I have a BA from the University of Pittsburgh and a Master degree from Duquesne University. But the greatest teacher I had was Bro. C Johnson Bey the Grand Sheik of temple # 5 Pittsburgh. 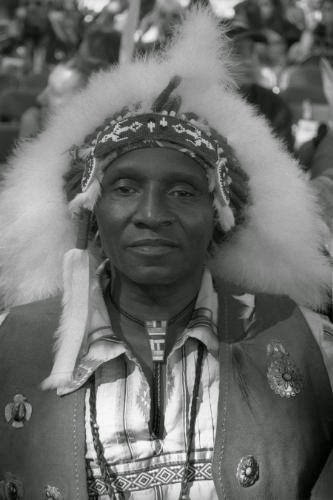 He was nationalized in 1927 by Noble Drew Ali and was initiated into the Adapt Chamber by Noble Drew Ali that same year. 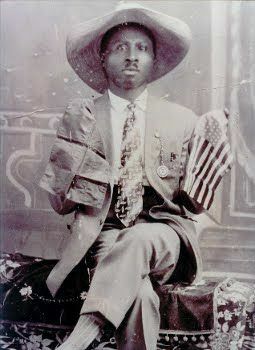 He could play the Cornet and marched in the Moorish costume parade at the 1928 convention. He talked many times about how he witnessed the Prophet stopping the rain. We all have the same nationality, flag, Holy Koran, 101, and Divine Constitution and By Laws. We have the same issues but we always down each other just as in ancient days when we were defeated by the European and had our nationality taken away. Other nations of the world forget all personal ideals and unite under their own vine and fig tree which is their Flag. All with the title El or Bey, and carry a nationality card need to unify and become a political force. Moorish Science is 360 degrees of wisdom, knowledge and understanding and no one man or woman can understand or know it all. However, every Moor can understand the power in national unity. We can come together in silent brotherhood and for one purpose and that is the uplifting of falling humanity. The Moors are the first nation to go into battle waving and fighting for their flag and we can do it again. An old Sheik said spirituality is hard to teach, but I say it is impossible to teach because only ALLAH can give you understanding and everyone don’t have the same portion. On the other hand, even a fool can understand nationality. The Moors are the only ones that can truly UNITE ASIA. We must keep our differences to ourselves and unite under LOVE, TRUTH, PEACE, and FREEDOM AND JUSTICE. Where there is unity there is POWER. Many a Moorish American has been confused about the Aquarian Gospel. Don’t be confused about this, THE AQUAIRAN GOSPLE IS A FAKE, created by the Masons to disqualify our Holy Prophet. 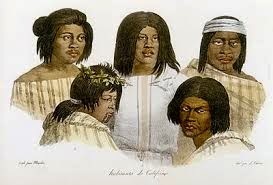 In the Aquarian Gospel Jesus said, the red man, the black man the yellow man the white man are all equal. I examined the book years ago and these colors might not be in the exact order but you get the idea. 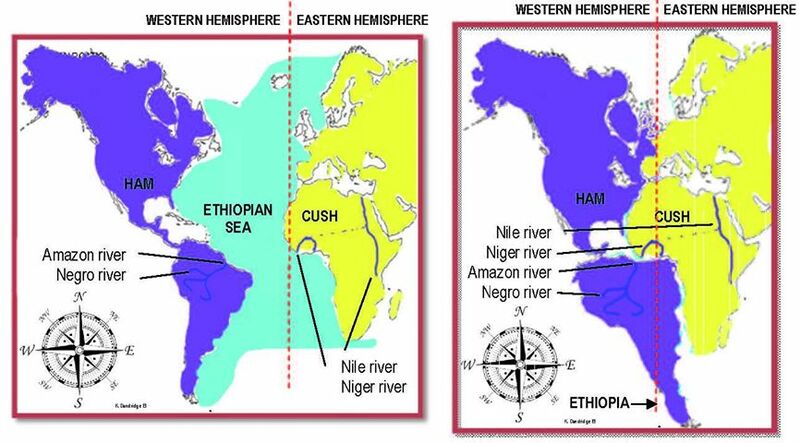 Now about 2000 years ago man was not discussed by colors but by NATIONS. Any time you see the word Black that is the European trying to keep the Moorish American in mental slavery and under their iron-hand oppression. I spent many years studying the Masons. I found an old Masonic book from the 1920s at a yard sale but I am not going to say much more about that because what I gave you already and what I am about to give you is dangerous. Like I said I have studied the Masons for years and this is where I first found the term digital code to describe the process of counting numbers to free the truth. This code is used to hide secrets and can be use mathematically in many ways. They say the Aquarian Gospel was reviled to Levi Dowing in 1908. Let us now see how they come up with a fake date like 1908. What year was the Moorish Science Temple of America founded? 1913 AD. The Masons know the Prophet’s number is 5. So he will use 5 against him in a negative way. 1913 – 5 = 1908 the year he says Levi wrote the Aquarian Gospel. The masons use science to hide their secrets. Now let us look at the name Levi Dowing. What is the secret hidden in this name. The Masons will also use the Bible to cover up their secrets. Levi was the son of Jacob who sold his half-brother Joseph into slavery. Do this sound familiar? Take another look at 1908, (1+9+0+8) = 18 (1+8) = 9 hidden knowledge. Now do you see how important it is to understand the digital code, do you now understand the process of how numbers can unlock secrets, the name Dowing also has a hidden meaning, any time you put the suffix ing at the end of a noun it changes into a verb. We all know that the European worships money. Dow Jones index of the stock market was found by Charles Henry Dow and Edward D. Jones in 1915. The hidden meaning of Dowing is playing the stock market is only for the elite few 1%.” In God we trust.” Do you believe me or do you believe the European, 99.9% will believe the European because he has even the strongest Moorish Americans brain washed even thou I have given you the science to decode his secrets however, maybe one will believe me and pass it on. The other chapters in the HOLY KORAN (20 to 44) can be found in a number of places, most notable in the Rosicrucian book ‘Unto Thee I Grant.’ These chapters can be traced back to Egypt, where Noble Drew Ali learned the duties of a Prophet and passed the hardest of test. He stayed in the pyramid 18 years (1 = 8 = 9) He conquered the spirits of fire, water, earth and air. He also received the science on how to control the ethers, the divine spiritual element that control’s life. The magic squire show the power of 5 in the center, it is used by secret orders to send messages to each other. They put a diagram over the squire that expose only the numbers they want to convey to revile the message. Put the green star over the diagram and the numbers 4, 2, I, is exposed 4+2+1 = 7 the number seven is Allah’s Number. Why is the star open? What kind of flag is the Moorish flag? It is a red flag with a 5 pointed green star in the center. The 5 pointed star is in fact a circle, between each of the points there are 72 degrees. 5x72=360. I can go on and on about the Moorish flag, but not at this time. 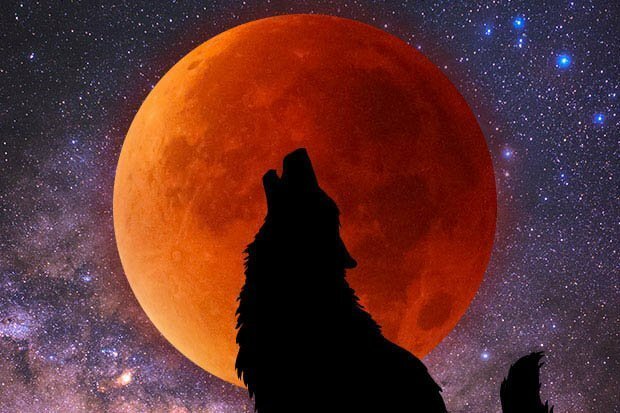 Late tonight and in to the early morning we will be experiencing a Super Blood Wolf Moon. What does that mean? To me it's about focusing on my goals being disciplined and present in the moment. And to end the talk and to walk in the light of solution and remedy. Moor Praying Moor Meditation Moor doing what is meant to be done. It's about Love Truth Peace Freedom and Justice. The Blood is The sea of Fezzes that was prophesied. The Wolf represents Freedom and the Moon represents the Moabitess that carries the energy of Ruth that will be seeing this transformation through. With love and the teachings of the Prophet. We are witnessing the Nu beginning and the end of the old ways. The blood of the Moors, from our Flag to our Fez Blood is known to be a vital principle of the physical body. The discovery of the circulation of the blood was revolutionary in the study of anatomy. In more recent years it has been demonstrated that the health of the body depends on the rapidity of the blood flow; and blood transfusions are an accepted means of prolonging life. (THE BOOK OF LEVITICUS, C. R. Erdman, p. 81). 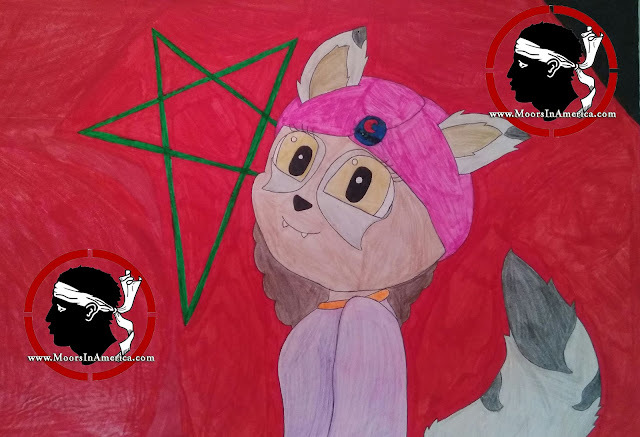 My daughter drew this and I think its a great representation of the super blood wolf moon and the Moors.